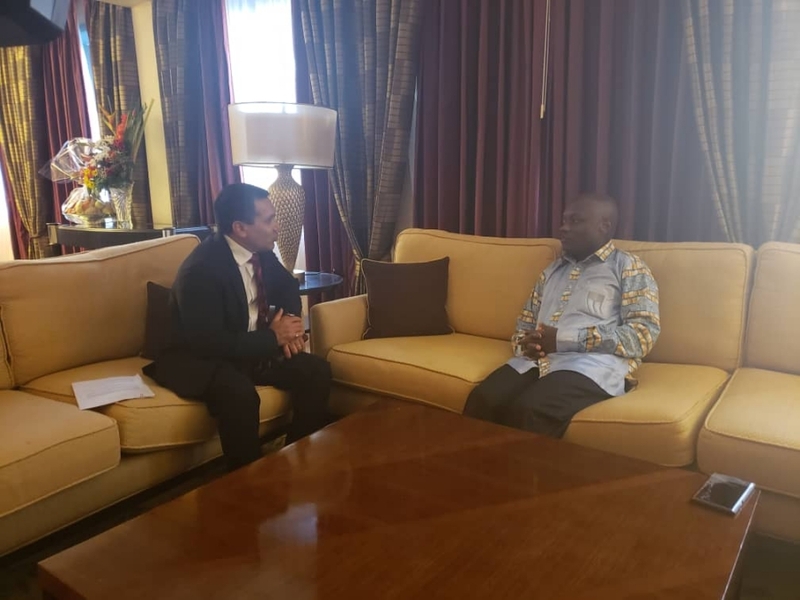 Ambassador Rajeev Kumar called on President of Guinea Bissau, H.E. José Ma?rio Vaz on April 2 in Dakar and thanked him for his contribution to the Anthology on Mahatma Gandhi "What Gandhi Means To Me". 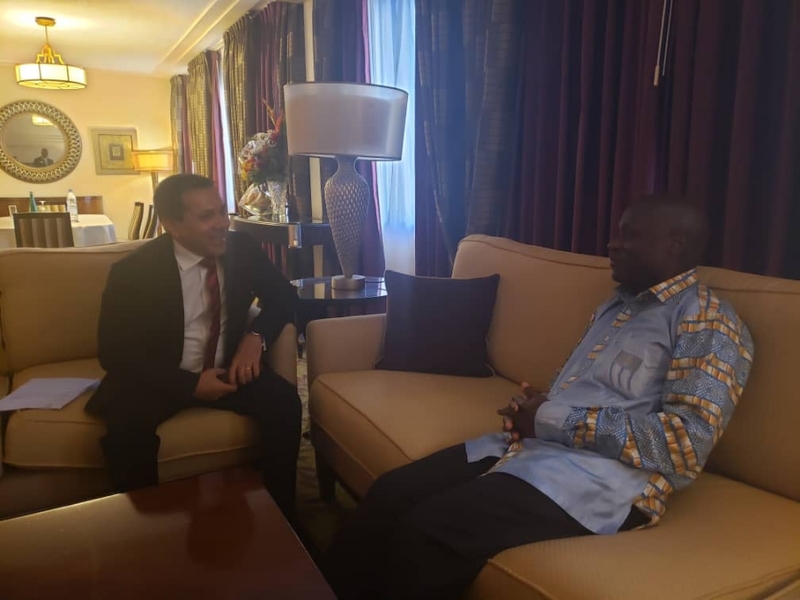 Ambassador Kumar also congratulated him on the successful and peaceful legislative elections last month in Guinea Bissau and wished him for stability and prosperity of the country. They also discussed bilateral issues. L’Ambassadeur Rajeev Kumar a rencontré le Président de la G uinée Bissau, S.E. José Màrio Vaz le 2 avril à Dakar et l’a remercié pour sa contribution au recueil sur le Mahatma Gandhi « What Gandhi Means To Me ». L’ambassadeur Kumar l’a également félicité pour les élections législatives réussies et pacifiques du mois dernier en Guinée-Bissau et lui a souhaité une stabilité et une prospérité pour son pays. Ils ont aussi discuté de questions bilatérales. 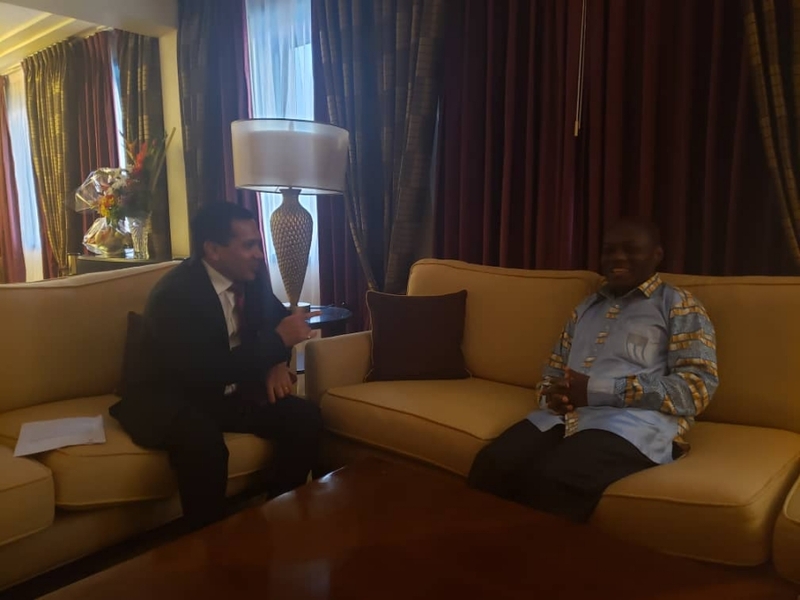 O Embaixador Rajeev Kumar reuniu-se com o Presidente da Guiné-Bissau, H.E. José Màrio Vaz, em Dakar no dia 02 de abril, e agradeceu sua contribuição para a Antologia sobre o Mahatma Gandhi " What Gandhi Means To Me". O embaixador Kumar também o felicitou pelas eleições legislativas bem sucedidas e pacíficas do mês passado na Guiné-Bissau e desejou-lhe estabilidade e prosperidade do seu país. Eles também discutiram assuntos bilaterais. Third Annual Edition of National Teacher’s Congress (NTC) during January 4-6, 2019 being organized by MIT World Peace University, Kothrud, Pune, India and UNESCO Chair of Human Rights, Democracy, Peace & Tolerance, Pune. Indus Food - 2018 Global Food & Beverage Show of India from 18-19 January, 2018 at India Exposition Mart, Greater Noida. The 100th Birth Anniversary of Pt. Deen Dayal Upadhyay will be celebrated on Sept 25, 2017. MOS (MJA) delivered a speech on the theme “India’s Synergies with Africa” on Thursday, 7 Sept. 2017, at the West African Research Center (WARC), Dakar during his visit to Senegal. Mr. M.J. Akbar, Hon’ble Minister of State for External Affairs, visited Senegal from 7-8 Sept. 2017 as Special Envoy of our Prime Minister. Advertisements for new posts in EoI, Dakar. Hon’ble Prime Minister of India Shri Narendra Modi will inaugurate the Pravasi Bharatiya Kendra (PBK) and will dedicate it to the Indian Diaspora on the occasion of Gandhi Jayanti on 2nd October, 2016. Global Exhibition on Services, to be held from 20-23 April 2016, in Noida, New Delhi.